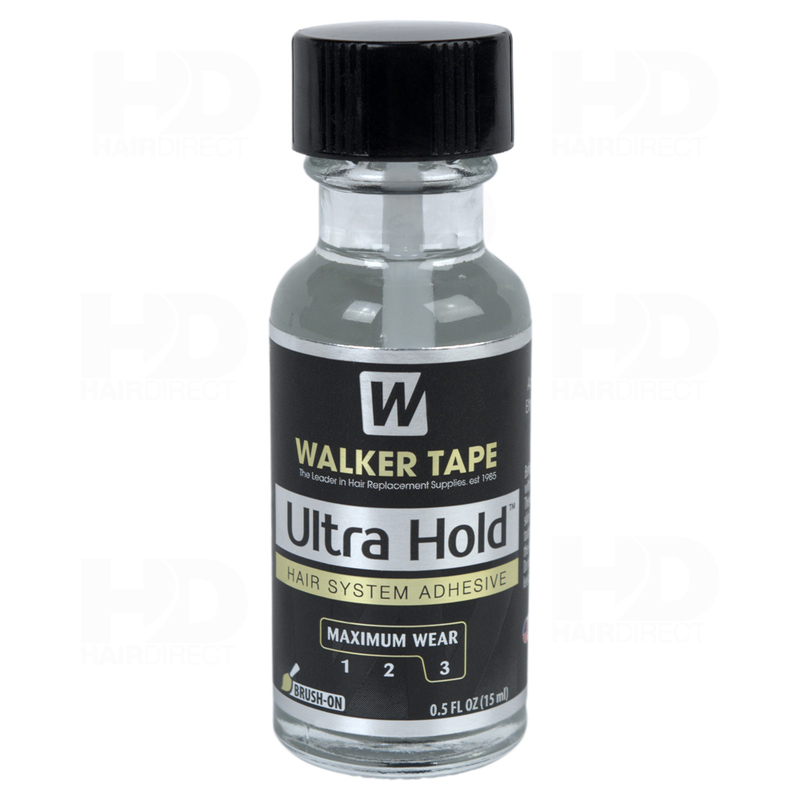 We use the high quality Walker Ultra Hold Glue for all our systems and wigs. It’s the best glue available and we have tried many alternatives over our 25 years of experience! You can buy the glue from our salon in Wolverhampton. Call us on 01902 246004. The ultra hold glue comes in two sizes 0.5oz and 3.4oz. Walker Ultra Hold Glue will last up to 3/4 weeks before it would need replacing . Come and collect from our city centre based salon or we can post out to you. Do you currently have a hair system or wig fitted? – we provide maintenance and re-fusion only where we clean, cut and blend your own system. Try us for your next appointment, we have no contracts and the price is from £35.00.